This is one yummy side dish! And a super easy one too! James will eat corn with every meal if I let him. It’s one of his favorites. Give him corn and mashed potatoes and you’ll be the apple of his eye. That’s how I won him over. Corn and mash. Kidding. But his affinity for corn is a real thing. 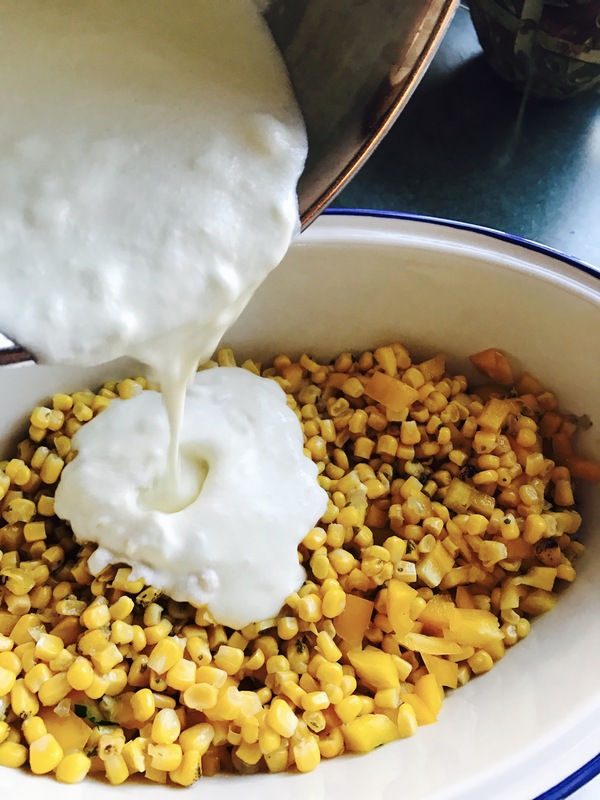 So naturally…being the foodie that I am, I try and find new ways to doctor up said corn. Whether it’s fresh or straight out the can, this recipe is a delicious one! We do grow corn here on the Homestead but truth be told, the raccoons usually get to it before I do. One of these years I’ll pick it all as soon as it’s ready. 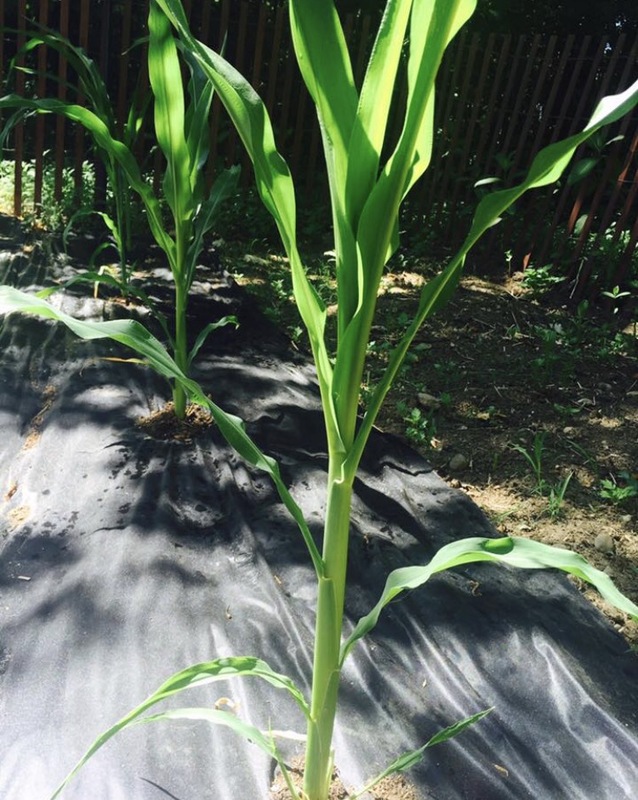 Rather than doing what I always do and say… hmmm if I wait a couple more days to pick the corn, they’ll only get bigger! They’ll only get eaten. And not by me. Anyway, if you are using fresh corn- I find that the corn tastes better if you fire roast it first. Either over a gas burner, a grill or a grill pan. 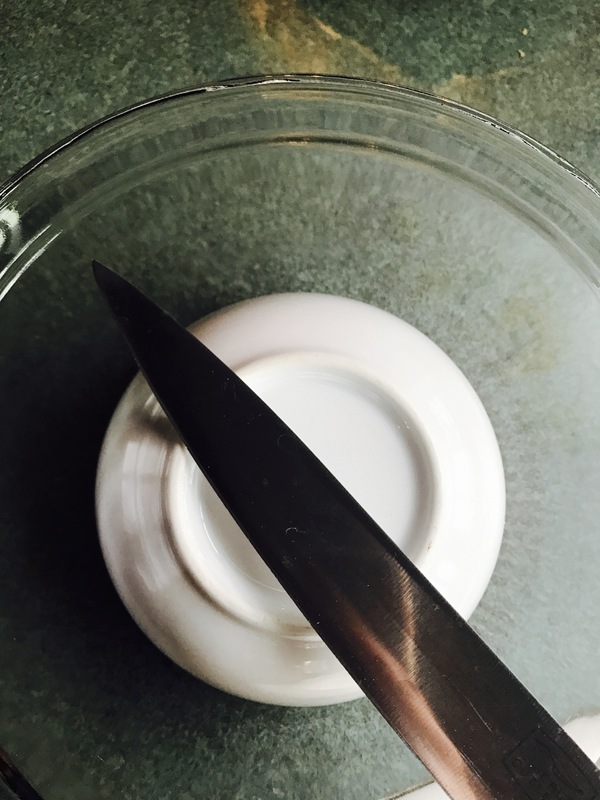 Next, invert a small bowl into a larger bowl. This will create a flat surface to cut the kernels off the cob and the larger bowl will catch all of the kernels. After that the rest is easy! 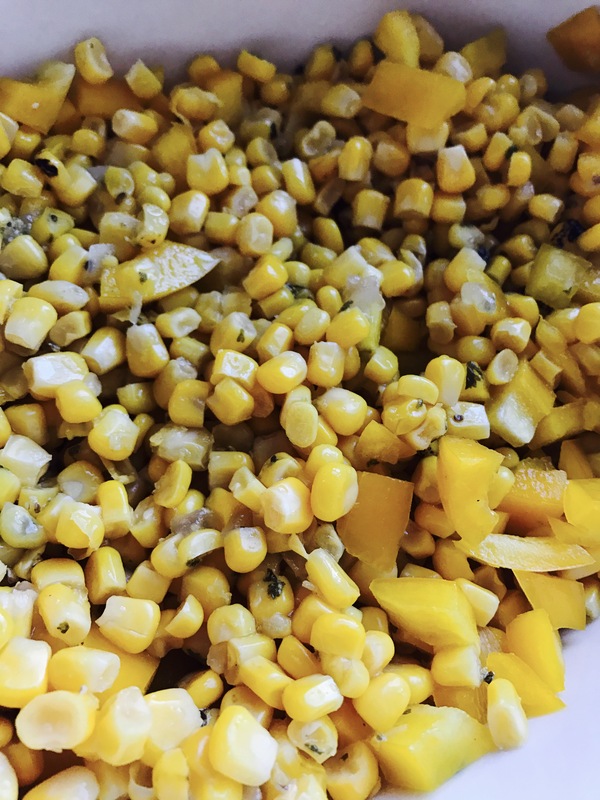 Place your corn and sweet yellow pepper in a casserole dish. I like using yellow because it adds a fresh sweet flavor, but because of its color, people usually can’t tell where the flavor is coming from. It looks just like the corn! A little chopped fresh parsley is great here too. Next, in a sauce pan melt 4 tbsp of butter, cream cheese and milk together, stirring frequently and being careful not to scorch. Add a pinch of and pepper and pour all over your corn and sweet pepper, then stir. 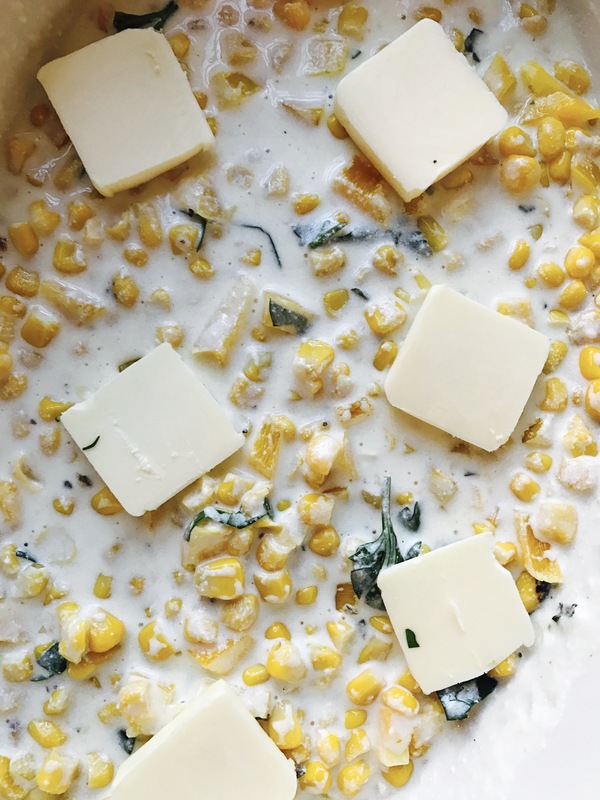 Next place the remaining butter on top of the creamed corn. Add a heaping tbsp of Parmesan cheese and some more parsley for flavor and garnish. This was perfect along side classic pork pie! 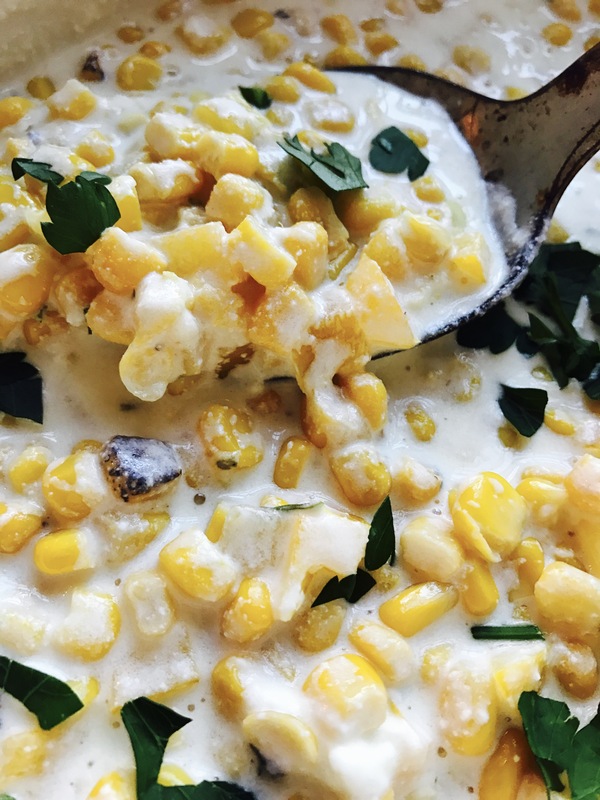 The creamed corn will come out hot, bubbly, sweet and creamy! 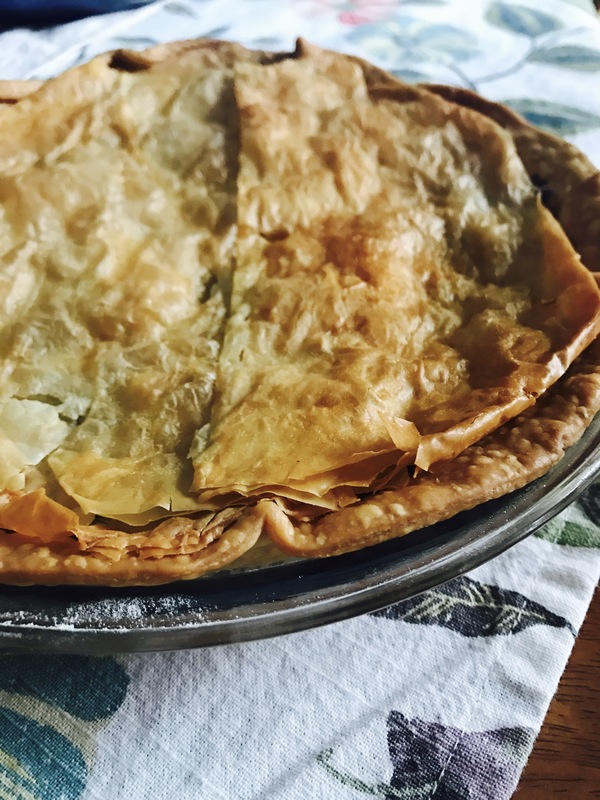 The whole family loves this recipe!! I hope you give it a try. Whoever you are out there.